It’s not available yet—so stop looking for keys. On Thursday, Jan. 31, Fortnite: Battle Royale players who completed 60 weekly challenges finally gained access to the season seven Snowfall skin: The Prisoner. The initial excitement of unlocking this skin, however, was trumped by the fact that Epic Games plans to release multiple cosmetic stages for The Prisoner. Players quickly figured out how to upgrade The Prisoner and unlock the second stage of this skin—you just need to interact with a key in the castle at Polar Peak. But now, players are vigorously trying to figure out how to unlock the third stage of The Prisoner skin—even though they might not have much luck at this time. 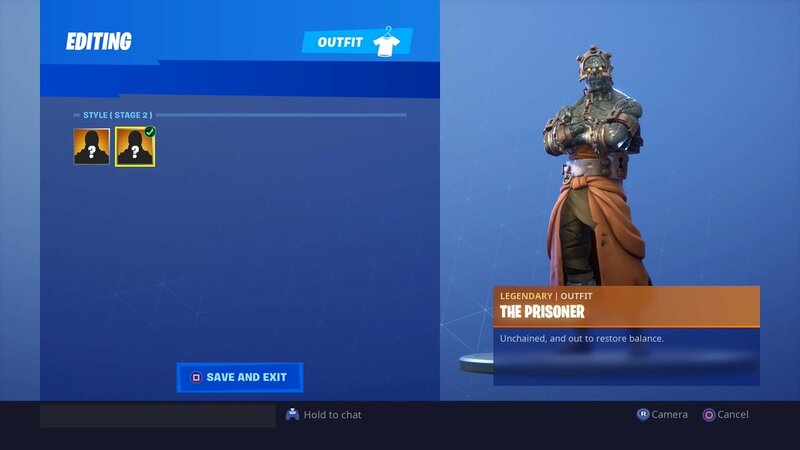 According to well-known data miner Lucas7yoshi, there are only two stages of The Prisoner skin in the current version of Fortnite. Although you might not be able to get the third stage of The Prisoner skin quite yet, this doesn’t mean that more stages aren’t on the way. YouTuber KillerKingKevin posted a video that potentially shows what the third and fourth stages of The Prisoner skin look like. These leaked stages of the skin obviously aren’t confirmed by Epic, however. This video does give fans a good idea of what the last two stages of this skin might look like. Whenever the third stage becomes available, it’s possible that players will need to interact with the upcoming environmental campfires somewhere around the Fortnite map. Stage three of The Prisoner skin likely won’t be available until at least next week—so Fortnite players should take a break from trying to unlock the next stage and enjoy this weekend’s Festivus event.